What are the best vehicles to wrap? 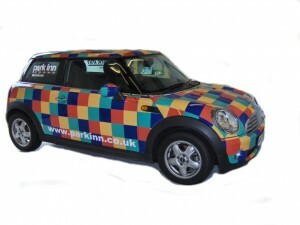 The good news is that whatever kind of vehicle you wrap, it’s going to stand out. Period. Whether you’re in a Honda Civic or a custom Lotus, if it’s wrapped, you’ll definitely get extra attention. The best vehicle for you will depend on the needs of your individual business. Still, we love sharing our knowledge, so we broke down some of our favorite kinds of vehicles into a few categories to keep in mind when you’re shopping for your next wrap…..
Chevy HHR, Toyota Scion, Honda Element. There’s definitely been a trend in square vehicles in recent years. Whether you love the angular look or you’re not a fan of the boxy shapes, you can’t deny that the unusual shapes of these cars stand out . Everyone has an opinion! 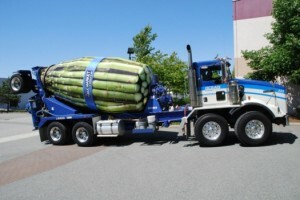 In addition to being a little unusual, the broad sides of these vehicles give them a somewhat unique place in the world of vehicle wraps. 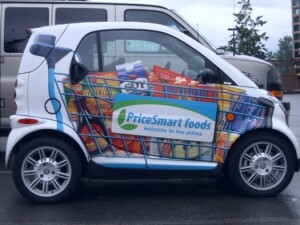 You gain the fuel efficiency and maneuverability of a smaller car, but the broad canvas size of a mobile billboard! Definitely a win-win situation. 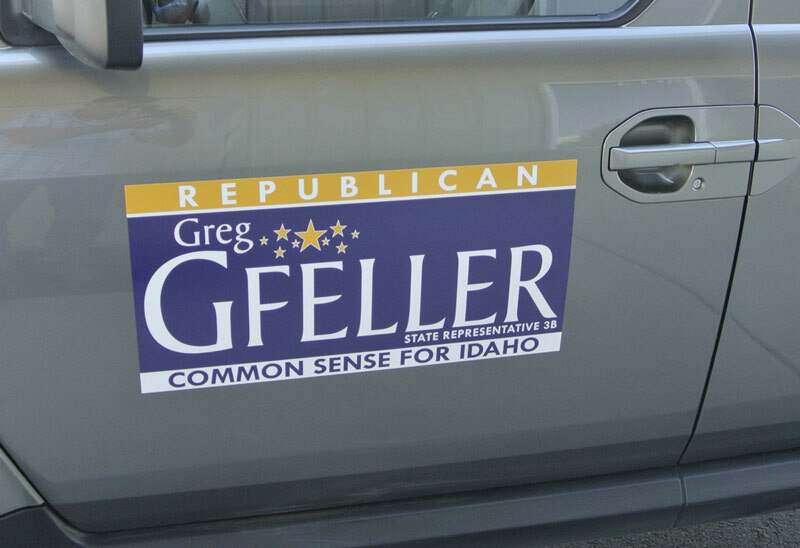 Because they tend to have less curves than other vehicles, it becomes very easy to use the wide spaces for big, colorful graphics. Sprinter vans, Ford F250, Hummers. Enough fooling around with those silly little vehicles, you’re in the market for something BIG. Sure trucks and vans are fairly common, but when you wrap an automotive giant like a truck with a full size crew cabin or an enormous Sprinter van your sheer size will definitely get you noticed. 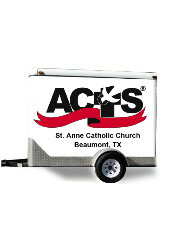 These vehicles offer the most space for larger than life graphics for your vehicle advertisement. One enterprising client told us that he’s planning on having his truck lifted to make it stand out even more! 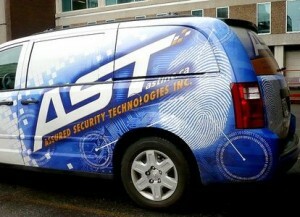 This ad for AST (Advanced Security Technologies) on a windowed van can be easily seen from a distance and it looks classy and interesting from the street. A great combination of good design and creative positioning. Another example from is from the UK, this wrap for a printing company is loud enough to get a lot of attention but understated and elegant enough to convert viewers into customers. This design is stark contrast to the huge-text, in-you-face, explosion-and-fire designs of most commercial wraps on the road. No one has ever been annoyed into becoming a customer. Good design in vehicle wraps is surprisingly hard to find. 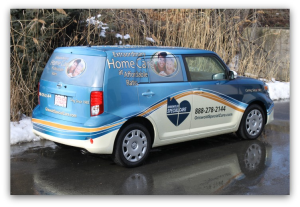 A clever, well-designed vehicle wrap is an easy and immediate way to set your ad campaign miles ahead of everything else out there. Everyone’s seen mobile ads on the side of a bus, but trains are a relatively untapped medium for ad placement. They also offer some interesting creative opportunities that buses so not offer. Imagine the entire army of Verizon’s support engineers as a part of their “we never stop working for you” campaign or a giant shark eating up the track for a zoo promotion. . 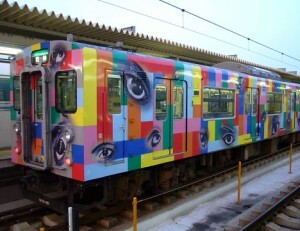 Here are a few more creative ideas, some of these from Japan. 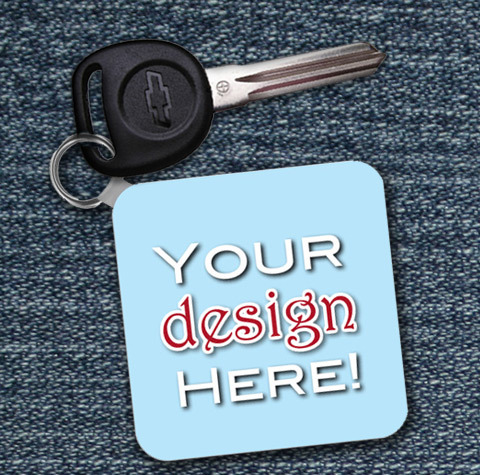 Your Company and Your Vehicle Wrap! Design your wrap like a huge ad! Come up with a creative idea, and keep it simple yet eye catching. 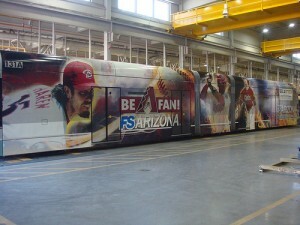 The whole point of a vehicle wrap is to catch the viewer’s attention while they are in motion. 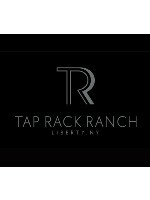 Regardless of the overall messaging, be sure that your company brand or logo is easily visible against the background imagery. 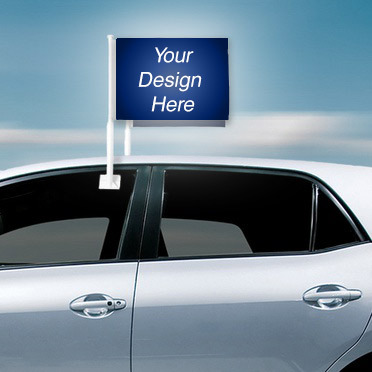 After all, the entire point of a car or truck wrap is to advertise your brand or product. Make sure people know what it is! Don’t place logos between panels or half on a window and a quarter panel, because the different materials will often print irregularly, and your logo will end up looking incorrect. 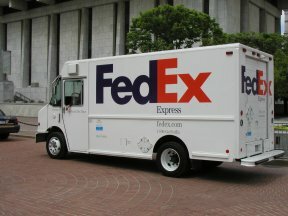 Around the year 2000 I was working for a large internet agency and we got involved with FEDEX, they were creating the first on-line tracking system for international logistics of shipping packages based on bar code readers, revolutionary for those days since it was all EDI or in other words a nightmare. Along with it they changed their brand from Fedaral Express to simply Fedex, it was already a household name to “Fedex it” if you wanted to make sure it got there. New logo and and brand image and it went on anything that moves packages around the world. What we can learn from this is don’t be afraid to change and get your message across on your vehicle, be it you have just your van or truck or an entire fleet of vehicles to advertise on. 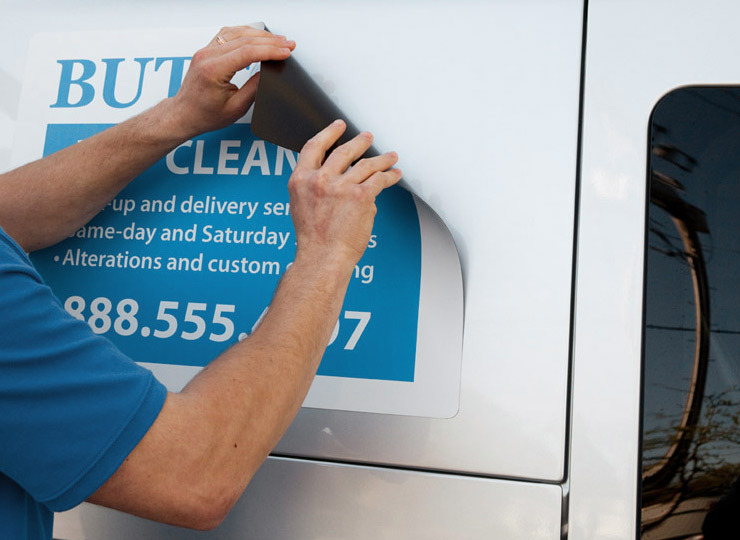 There are no secrets and while you design a wrap for your vehicle or your fleet, keep in mind what you do and how you want to be perceived by your potential customers. If you deliver bread around, say so, illustrate it with a picture of bread and plug in your logo, web site name and phone number. For most of us, the kiss method works the best, people look at your wrap and understand what you do in a second, that’s all you get when you drive by. Use background images for more detailed look of what you do, plumber put a big picture of a drain or a faucet in your background and splash your name in front of it. Take advantage of that moving billboard! 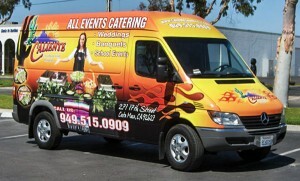 Most of us will have a van, truck or trailer with a flat surface to advertise on. This can make the design and application of the wrap fairly easy, you can create that awesome background and get your message across quite large with plenty of room to work with. But, if you do not need a van or truck for your business, think about the (fairly) unique vehicles out there on the road that stand out by themselves already and can create a unique messaging opportunity. Mini Coopers, VW Bugs, Smart cars and Hummers are very popular for their shapes: the more unusual the better. 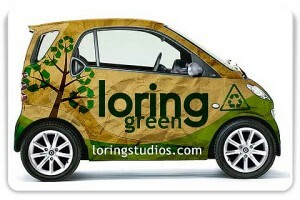 Hybrids are wonderful for conveying that your brand is concerned with the environment. Here is an example of a well executed message from our friends at Loring Studios, a great background and large message, environment anybody? If you are a local business keep your website and your telephone number visible and big. Beware of having any essential information, including logos and text, wrap around corners and edges. 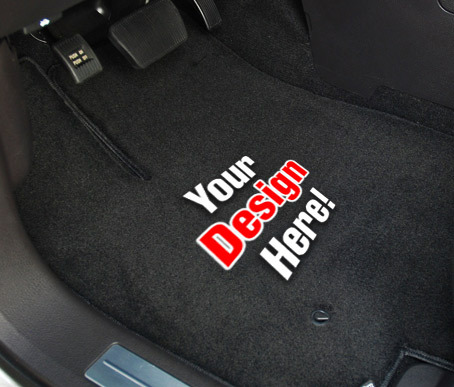 Instead, keep messaging in easily readable areas and be sure to put logos and taglines on all sides of the vehicle. 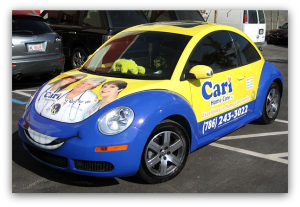 Design Your Own Vinyl Graphics Online With Custom Car Wraps! New Feature Launched – Click to Call! Good News for Wrap Shops – Free Leads Are Back! New Feature Release: Design Your Own Boat Wrap!